Harry’s is a proud member of The Surfrider Foundation. Our seaside community is important to us. 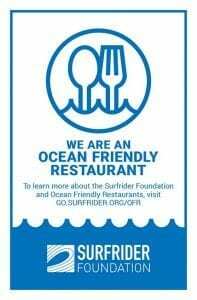 So, Harry’s Ocean Bar & Grille is proud to be a member of The Surfrider Foundation – an organization that works to help protect our oceans. Plastic pollution is compromising our oceans and endanger the many species that call it home. In fact, it’s estimated that there are over 5.25 trillion pieces of plastic in the sea, and that number continues to grow every day. It’s also estimated that one garbage truck of plastic waste is dumped into the ocean every minute, every day. This pollution is damaging the marine ecosystems, as well as wildlife such as seabirds, dolphins, fish, and turtles. Plastic fragments are even displacing plankton at the base of the food chain. What’s the best way to combat this global epidemic? Stop the problem at its source. That’s exactly what The Surfrider Foundation seeks to do, and we’re happy to support them. How? 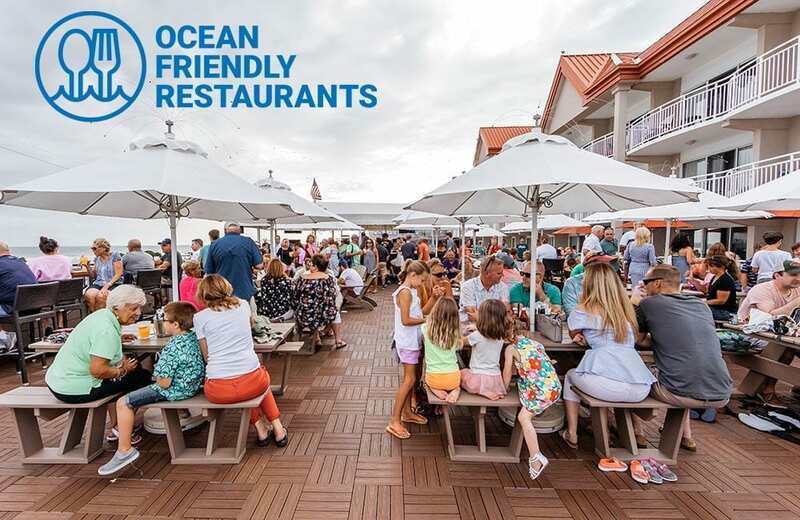 The Surfrider Foundation’s Ocean Friendly Restaurants program increases awareness, drives change in behavior and scalable impact among participating restaurants. Ultimately, it helps establishments like ours reduce our plastic (and water) footprint. What do we do differently? Offer discounts to customers with reusable cup, mug, bag, etc. As you can see, at Harry’s, we’re committed to making changes that benefit our community. And, soon, we’ll usher in the 2019 summer season. After a long, cold, winter it’s time to get busy doing what we do best: welcoming our guests – to the town we love – with delicious food, cocktails, beautiful ocean views and outstanding entertainment. We look forward to seeing you soon. And remember, when you choose to eat at Harry’s, you choose to support our oceans as well.